It was bad enough that in 2017 two of the US Navy's fast and nimble ships managed to run into large lumbering cargo ships.....but now they managed to get one of their newest ships in the fleet stuck in the ice in Montreal, Canada. Newly commissioned Littoral Combat Ship USS Little Rock (LCS-9) is stuck indefinitely in Montreal due to extreme winter weather and an icy St. Lawrence River, and the Navy denies rumors the ship is sidelined with an engineering casualty. Well who could have predicted that the waterways in Canada would freeze up in December? French fur trappers reported in the sixteenth century that the St. Lawrence River freezes hard in the winter. You’d think that word might have filtered through to Washington by now. But the U.S. Navy sent one of its newest warships, the USS Little Rock, to Montreal in December—where it now sits trapped in thick ice, probably until mid-March, marking an inauspicious beginning of a new year for a sea service coming off a horrendous 2017. Well why doesn't the US Navy just send an icebreaker there to get her out? The US Navy doesn't have any icebreakers. The US Coast Guard (who apparently is responsible for icebreaking duties) is also not able to help. They have the USCGC Polar Star which is down in the Antarctic. Then there is the USCGC Healy (WAGB-20) which is homeported in Seattle, WA. She works mainly in Alaska and the Arctic (and is probably pretty busy there considering that it is winter). That's it for ocean going icebreakers. You have the USCGC Mackinaw (WLBB-30) which is operates on the Great Lakes and is based out of Cheboygan, Michigan. Not sure why she can't help. The only other "icebreakers" are a handful of Coast Guard tugs that are primarily used for icebreaking duty in harbors. Who could have foreseen that the Great Lakes/Saint Lawrence Seaway could freeze up during winter and therefore think it might be a bad idea to send a US Navy ship there? Last edited by chijohnaok on Mon Feb 12, 2018 4:02 pm, edited 1 time in total. Were we expecting an attack from Quebec? WTF was a Clitoral Combat Ship doing there? Guess we will have to contract a Russian Ice Breaker, they at least have some big bad boys. 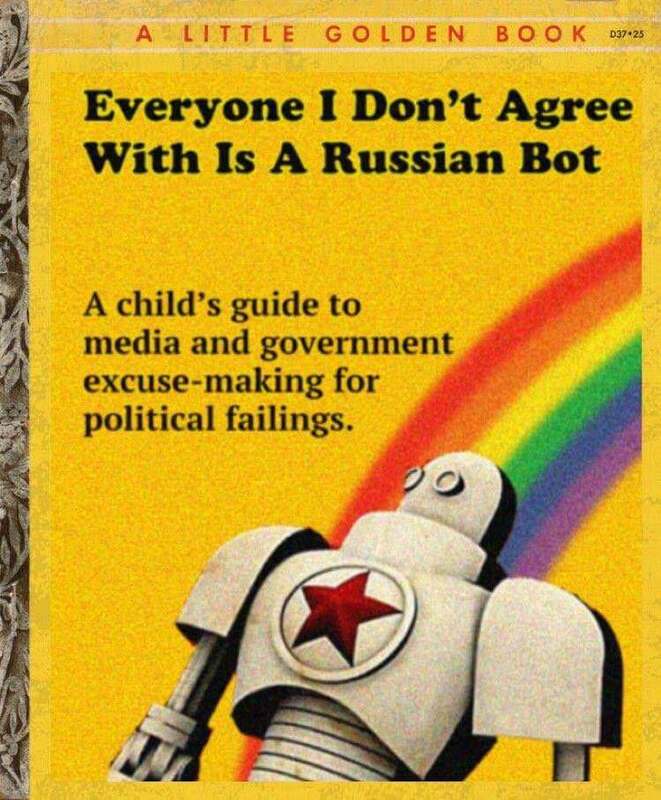 This 2ndAcr guy must be a Russian bot.